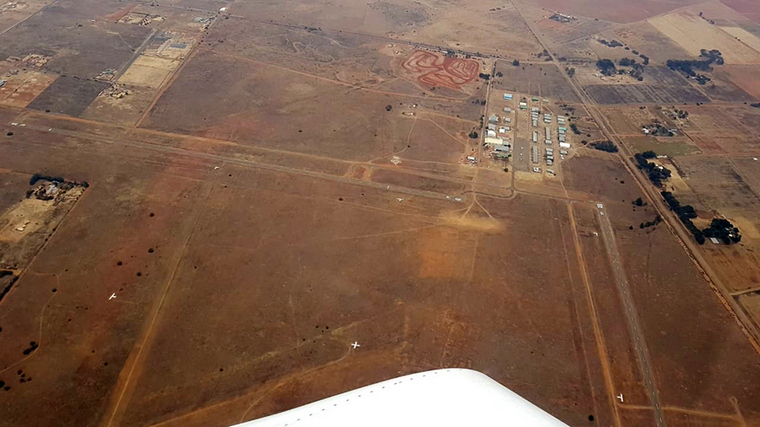 The National Championships was held at New Tempe Airfield from the first to the fourth of August 2018. 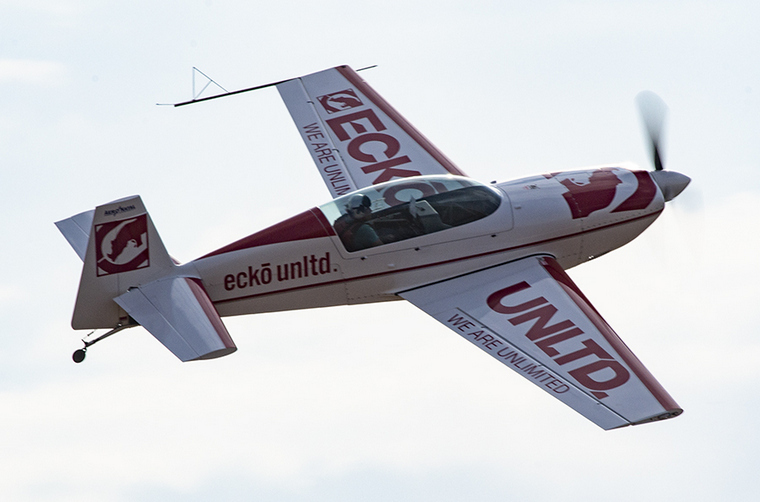 The weather was playing around a bit and on Saturday flying only started around 16:00 as a result of heavy wind the whole day. 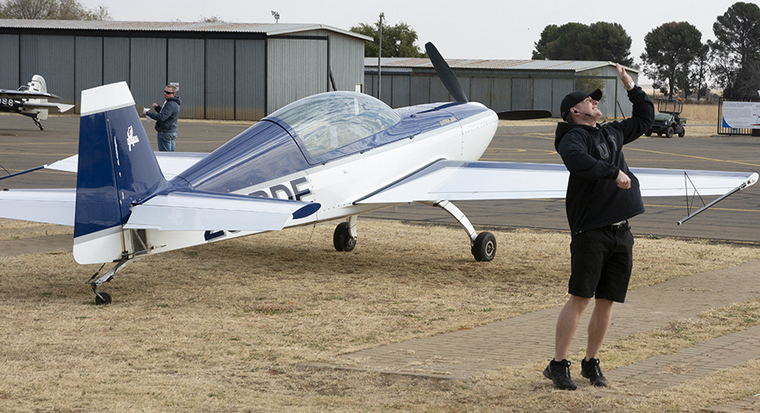 The most important flight that had to take place, on Saturday, was Kayle Wooll that had to do his final sequence. Fortunately he was able to do so and the result was that all the other competitors, in the Intermediate class, would have all their marks included in the final result. 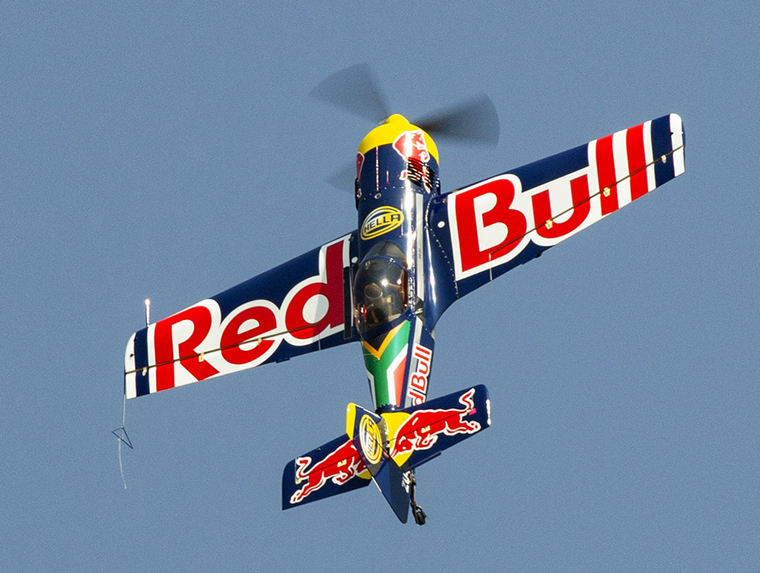 It was also very fortunate that the four minute Freestyle competition could be flown and completed. 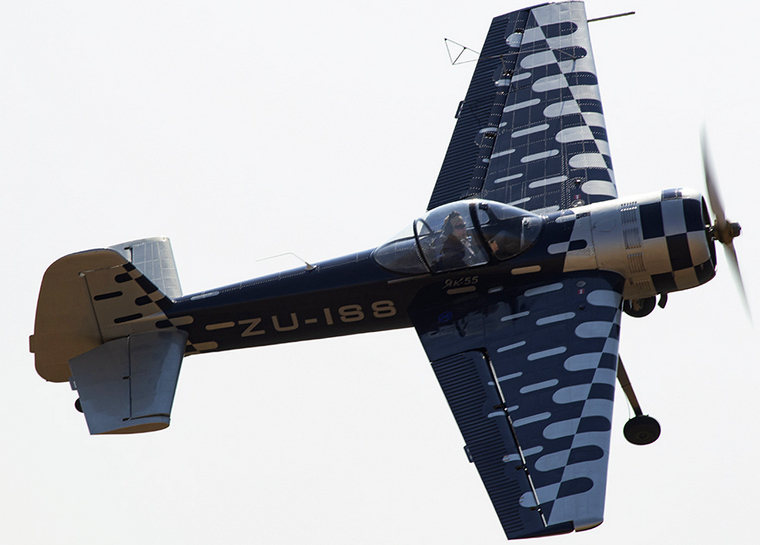 A wide variety of aircraft was flown in this competition. 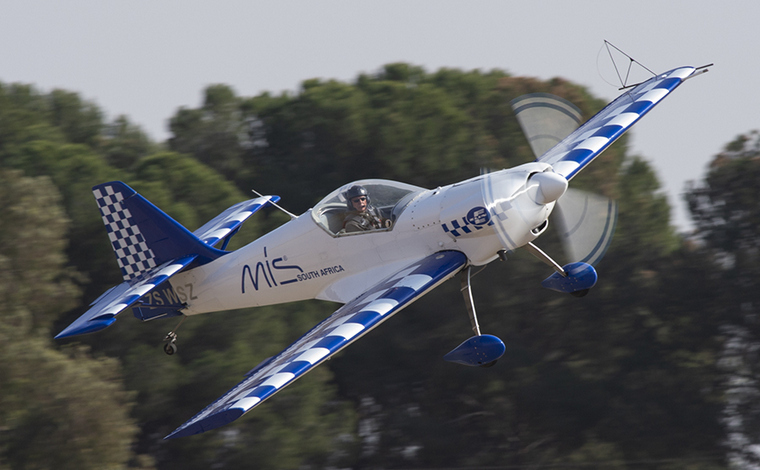 All in all there were 14 aerobatic aircraft that was used by 17 contestants. 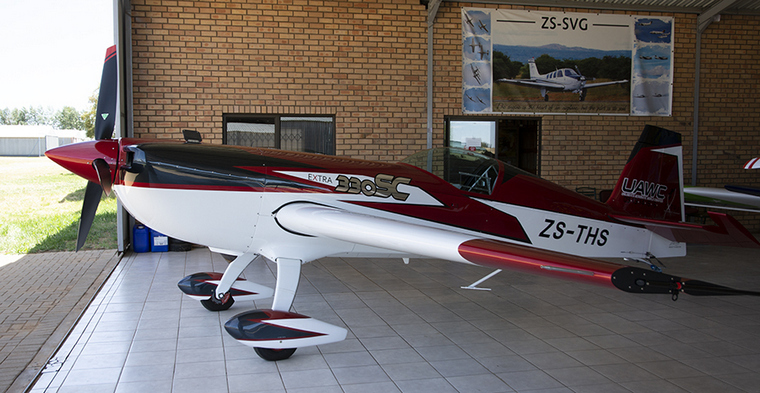 The other 5 was a combination of a Pitts Falcon, Sukhoi SU31, Yak 55, Vans RV 7 and a Slick 360. 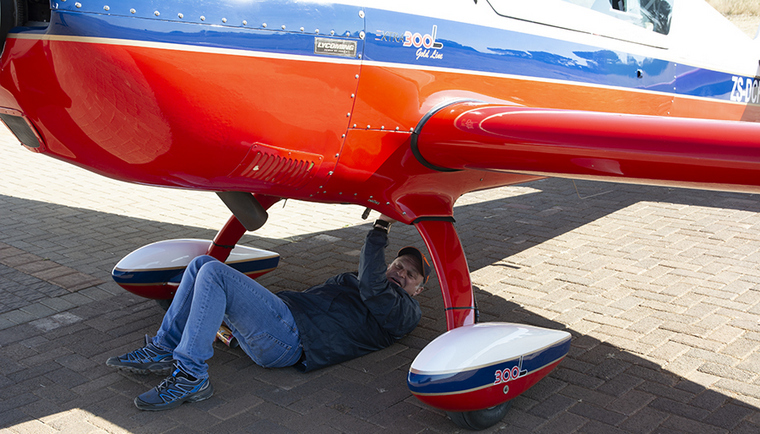 Aerobatics is hard work and not always glamorous as can be seen by the following. Refuelling needs to be done, aircraft needs to be pushed around and they need to be kept clean. Here Andrew Blackwood-Murray, Patrick Davidson and Elton Bondi were caught in the act of doing just this. Every morning was started with a briefing in which weather, runways, radio calls, etc. was discussed. 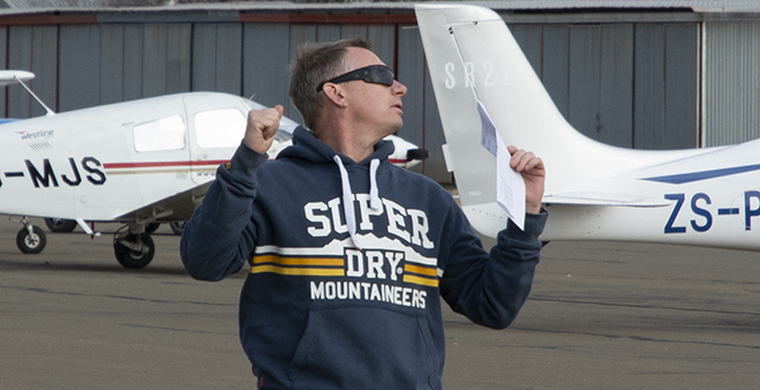 Before any competition flying could commence the Judges, Paramedic and Air Traffic Controllers had to be in position. Chief Judge John Gaillard, Quintin Hawthorne, Helm Ludwig, Mike Stark, Johnie Smith, Kelly McAuley and Cindy Weber. And they were assisted by various scribes, of which Charlotte, Tertia, Mothiba and Lesedi are permanent scribes. Students from Westline Aviation and pilots that have already flown were also on hand to assist whenever needed. From ATNS the Air Traffic Controllers were from various airports and control at various events in their own time. 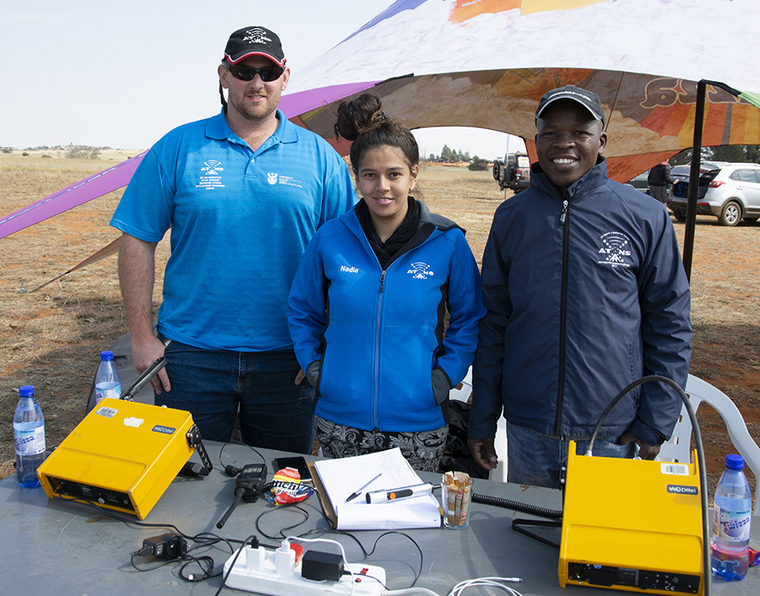 From left to right in the picture is Rouviérre Roux (Bloemfontein), Nadia Petersen (Kimberley) and Benji Phukubje (Lanseria). 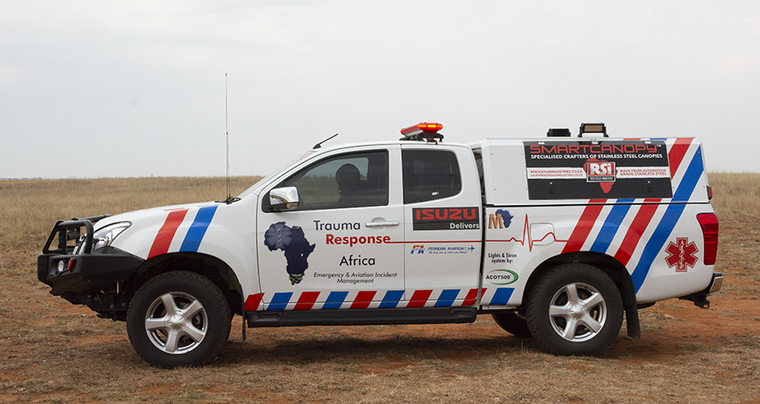 Stanley Schimper from Trauma Response Africa was the Paramedic on standby. Annie Boone was the Contest Director and Natalie Stark was Scoring Director. 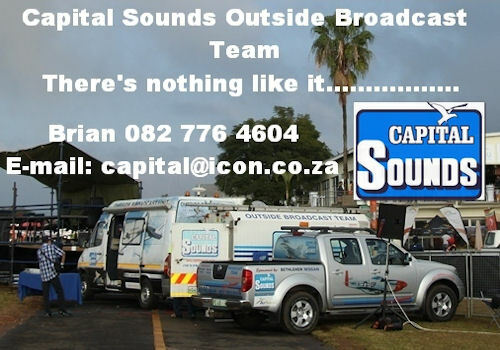 Conrad Botha and Wally Goodrich were in charge of arranging all the logistics for the event. Sponsors were Salley's Yamaha, G.T. 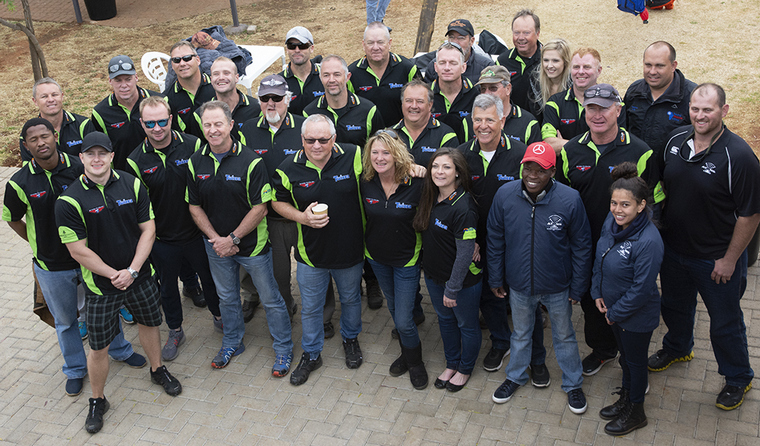 Drilling, Twizza Soft drinks, Absolute Aviation, Ferreira Aviation, Tradezone Couriers and Human Auto. Thank you to them all for their continued support of this great sport. Then it was time for flying. 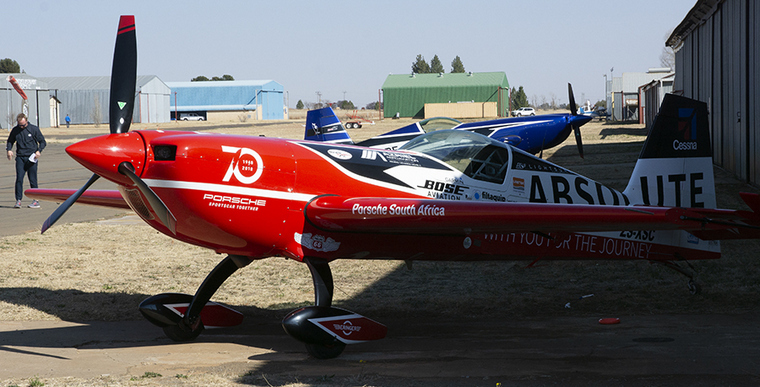 The “Aerobatic Box” is laid out in a 1000m x 1000m box. Some of the corner, side and the centre markers can be seen in this picture that Jason Beamish took, while he was assisting the judges in marking the box for them. Thanks for letting me use the pic Jason. 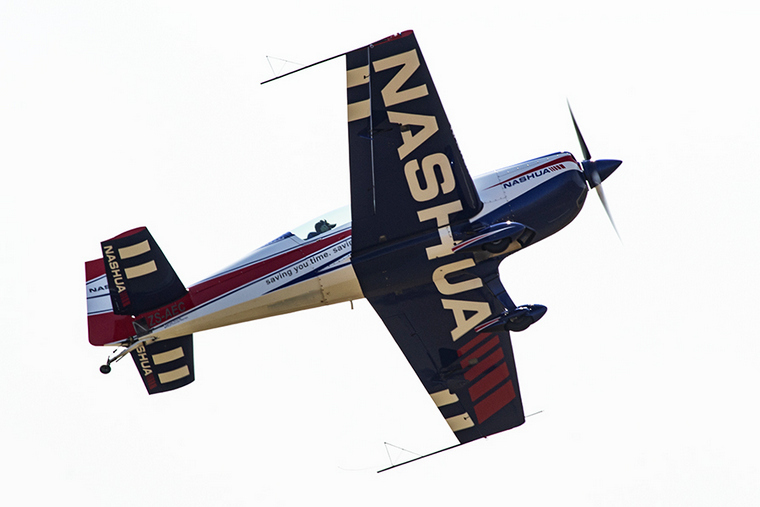 The aircraft took to the skies to participate in the Sportsman, Intermediate, Advanced, Unlimited and Freestyle competitions. One Known program and two unknown programs had to be flown in each class. Congratulations to all on a very well- organised and executed event. A big, personal, thank you to Stanley Schimper and Annie Boone for your assistance during the event. 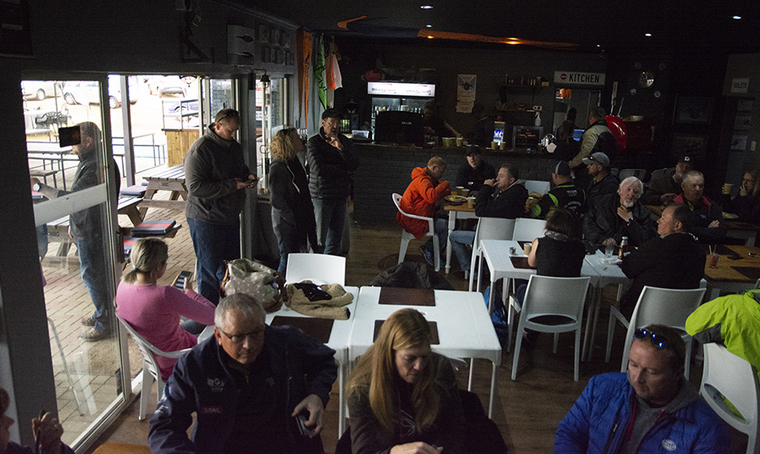 A big thank you also to the Airborne Café and the Bloemfontein Skydive club for the use of their facilities. 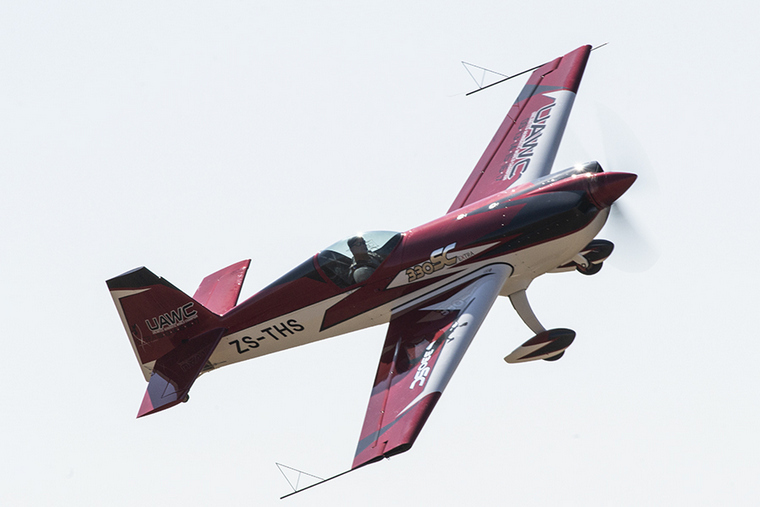 Good luck to all the competitors that will be attending the Advanced World Aerobatic Championships in Romania in just under two weeks' time. Go all out and show them what South Africa can do.